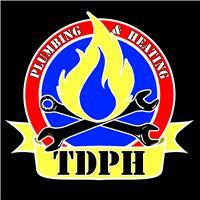 Timothy Dolton Plumbing & Heating Ltd - Central Heating Engineer, Plumber based in Kingston upon Thames, Surrey. I have been working in this field for 12 years. My company was founded eight years ago and I have never looked back. Myself and my team love the challenge of the job. We offer a no-fix-no-fee service on boiler repairs. We take care of a chain of estate agents, Parkgate, the Grosvenor Hotel, The Diocese of Southwark, a wide range of private landlords and, of course, our loyal individual customers. Call the office between 8am and 5pm, Monday to Friday for free advice.